Prvi Partizan has been making quality ammunition since 1927. 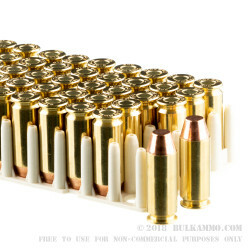 This case of 500 rounds of 10mm Auto ammo will be a great choice for your next training session. 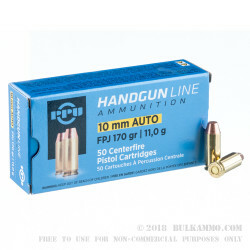 The 10mm Automatic pistol cartridge was first designed in 1983 to be the perfect balance of ballistics and stopping power for a pistol cartridge. Jeff Cooper, the designer accomplished this feat. 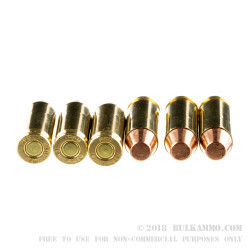 10mm is a great self-defense caliber with its flat trajectory and higher energy than the .357 Magnum, yet in a smaller cartridge than the .45 ACP! It is because of this impressive power that ammunition developers felt the need to create the "10mm Lite", now known as the .40 Smith & Wesson. Today, many self-defense enthusiasts still argue that the 10mm is the best handgun cartridge ever designed. 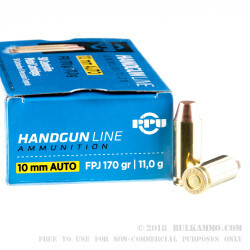 This 10mm Auto ammo from PPU features a 170 grain Flat Point Jacket projectile, which is nearly exactly the same as the traditional full metal jacket, only with a flattened nose. PPU ammo is made in Uzice, Serbia and its quality is certified by Military Quality Control committee of the Republic of Serbia Ministry of Defence. A: Hello Mike! This 170 gr Prvi Partizan round is listed as having a muzzle velocity of 1,115 fps with a muzzle energy of 469 ft. lbs. A: Hello Anthony! This Prvi Partizan ammunition is manufactured in Serbia and then imported into the United States.